There will be a Spanish Club meeting TODAY during lunch. There will be a brief girls track meeting at 12:35 on Today with Mr. Miles in the new gym. Attention Freshmen: Please see Mrs. Lagle to pick up your Applebee's Pancake Breakfast tickets! Attention Tech Prep interns. This is a reminder that we have seminar on Friday, January 25 in Mrs. Dowling's room 102. Please be on time and don't forget to tell your business partner. Don't miss auditions for Charlie and the Chocolate Factory this Thursday and Friday in the library! You do not need any experience. Everyone is welcome to join us on this adventure of pure imagination! If you have any questions or can't make auditions but want to be involved, please see Miss Yeagle as soon as possible! Girls Basketball will be celebrating Senior night/Grandparent night and Pack the Place Tonight, January 24th at the HOME game vs. Argenta-Oreana. The game will start at 6pm. The Blue Ridge Spanish Club is sponsoring a Valentine’s dance on Saturday, February 16th, from 7:30-10:00 in the old gym. Tickets will go on sale starting Monday, February 4th thru February 15th. Tickets are $5 per person in advance, or $7 at the door. We need at least 40 people to register in advance to have the dance. Out-of-School date forms are available in the office. In addition to the dance, the Spanish Club is sponsoring a Valentine’s Day King and Queen. Voting for candidates will take place February 4th thru February 14th and are 25 cents per vote. The king and queen will be crowned either at the dance on the 16th, or at lunch, on Friday, February 15th. 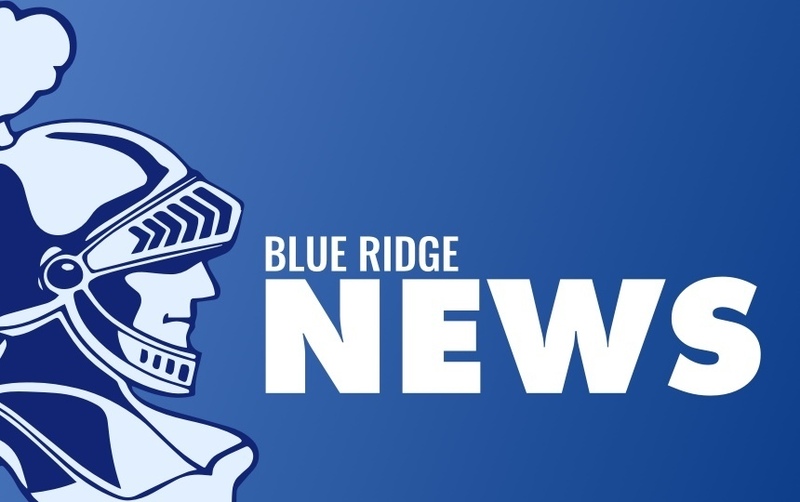 Any couple attending Blue Ridge High, Freshmen through Senior, is eligible to participate in the contest. If you and your sweetheart are interested, please see Ms. Loop. After school detentions this week are with Ms. Thacker. Lunch detention Thursday is in the office.